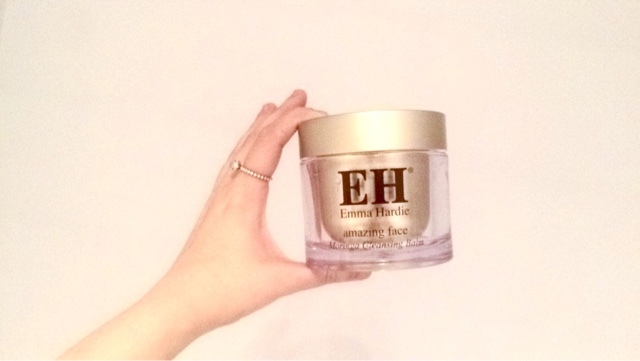 After trying the Emma Hardie Amazing Face Moringa Cleansing Balm a few months ago, I fell in love with it and therefore I decided to purchase the biggest tub there was. The biggest tub costs £55 whilst the travel size costs £10, so it is a great idea to purchase the travel size first before investing in the large size. The cleansing balm contains orange, neroli, mandarin, jasmine, cedar wood and rose to help revitalise, hydrate and condition dry skin. This product of course contains the moringa seed extract, wild sea fennel and vitamin E which is known to reduce the appearance of pores on the skin. I purchased the largest tub which is the 200ml size, I tend to use around a teaspoon amount per use and I have found this to remove all my makeup. The product itself comes with an extremely soft cleansing cloth which works best with this cleanser in comparison to the Liz Earle Cleanse and Polish Muslin Cloth. I like to let my tap run until it is between warm to hot and then let the cloth soaked in the water. I splash a little water on my face and then start working the waxy balm through my skin. I then rinse the cloth out so it is damp and then wipe off my makeup. After drying my face my skin feels extremely soft to the touch. I honestly could not live without this product now. You can purchase the Emma Hardie Cleansing Balm from Feel Unique. I loved it, but couldn't stand the smell any longer when I got pregnant. I have to get another one once these weird smell sensations have subsided.